Cricket titan Sachin Tendulkar is set to enter the Rajya Sabha after President Pratibha Devisingh Patil today approved his nomination to the House. Along with the ace batsman, the names of yesteryear actress Rekha and noted industrialist Anu Agha have also been cleared. 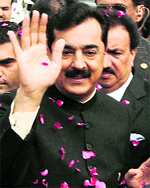 The Pakistan Supreme Court on Thursday convicted Prime Minister Yousaf Raza Gilani of the contempt of court and sentenced him till the rising of the court, plunging the country into a new phase of uncertainty and instability. Defence Minister AK Antony today said movement by Army troops in January this year was undertaken for training purpose and was aimed at refining mobilisation drills and preparedness of the force during foggy and wintry conditions. The government today issued the first forecast for the all-important southwest Monsoon that brings rain for most of India. BJD MLA Jhina Hikaka today walked to freedom, escorted by a group of tribals, after 33 days in Maoist captivity in Odisha�s Koraput district. The 37-year-old Laxmipur MLA was freed at Balipeta in the Maoist hotbed of Narayanpatna in the district. The move to ease travel between India and Pakistan for certain categories got the nod of Union Cabinet today amid growing ties between the two countries. The Cabinet gave its approval to signing of an agreement that would allow common people from either country to visit three earmarked cities, sources said. Businessmen with multi-entry, non-police reporting visas can now visit five cities instead of three, as at present. It was meant to boost their fortunes. 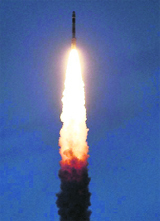 But the plan went grossly awry for many industrialists at the country�s first Industrial Nucleus at Goindwal. The result: A life of despair.